Not a year goes by where we aren’t hopping in the car for a road trip to Moab, or passing through on our way to visit family in Salt Lake. If we can get in at least three trips a year to discover this extraordinary red rock destination of adventure, beauty and great food, we’re happy campers. The 2018 season opens the weekend of March 10th, Woohoo! Over the years, through hit or miss discoveries we have compiled this list of adventures, sight seeing spots, eateries, and places we go back to time and again. Note: always call or check ahead, as some businesses are seasonal, close for private parties or have odd hours. 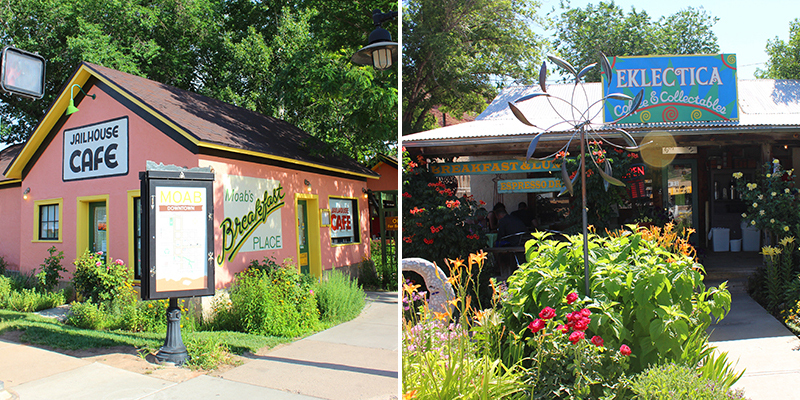 A favorite breakfast spot, sitting in the outdoor patio under shade trees is a charming way to start the day . Favorite dishes are the: Swedish Pancakes with Lingonberry, Southwestern Eggs Benedict with spicy hollandaise, and the Old Fashioned Ginger Pancakes. Known for their fresh made from scratch menu, we never miss the chance to have breakfast (and lunch) at Eklecticafe. Located in a cozy renovated house, ask for a table in the patio by the fountain. Favorite dishes are the: Bagel Sausage Sandwich, any Quiche of the day, homemade Maple Nut Granola and the Huevos Rancheros Smothered in Green Chile is fantastic. 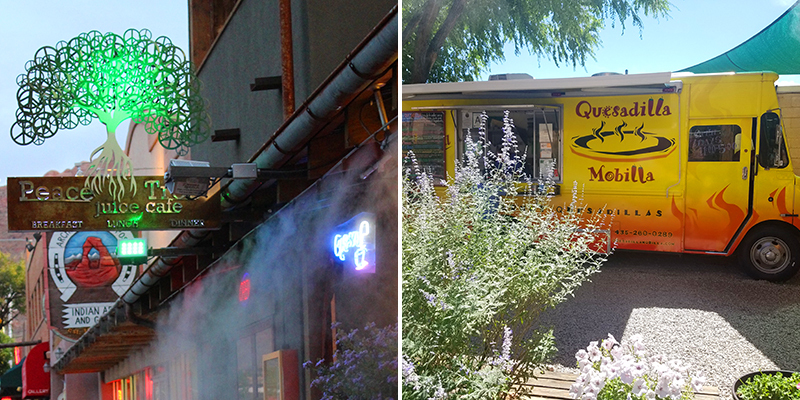 See our article on this gourmet quesadilla food truck with plenty of gooey cheesy melted combinations to choose from, and outdoor seating. This is a place for a quick bite before you set out for a day of discoveries. They promote good will and harmony with farm to table and organic food whenever possible. We love their: Ceviche, Quinoa Salad, Tres Steak Tacos, variety of Wraps and Burgers, and the Veggie Burger. Fresh food and big portions. They also offer gluten free dishes and are very helpful for people with food allergies. We found them by word of mouth by asking locals for an authentic Mexican food spot. It’s a small space, so expect a wait and know it’s worth it. We love any of the enchiladas, fish tacos, variety of burritos and vegetarian options, and the spinach enchiladas are delicious. (Hello again!) The breads are fresh baked, and the sandwiches and salmon burger are full of flavor … perfect tasty fuel before a good hike. We’re also fans of the chicken satay, gyros and any soup of the day is a sure thing. Ask for a table in the patio by the fountain. A great beer and burger place for the entire family. We start with the Hummus Plate or Smoked Salmon Dip. The Beer Cheese Soup and Black Bean are warm bowls of love, and we never miss with the Turkey Jalapeno Melt, Texas Pit Smoked Combo or Brewery’s Fish Tacos. Great selection of burgers and beer, and the kid’s menu offers favorites like corn dogs, grilled cheese and fish n chips. 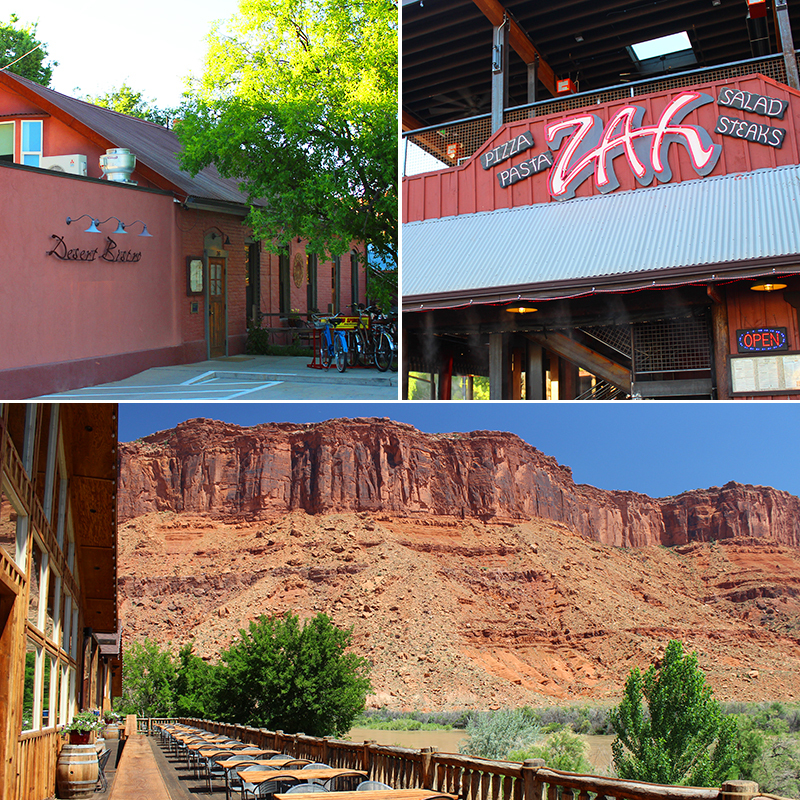 This western lodge and restaurant may look familiar as you drive the road north from Moab along the Colorado River and begin to recognize the landscape from numerous John Ford movies movies starring John Wayne. 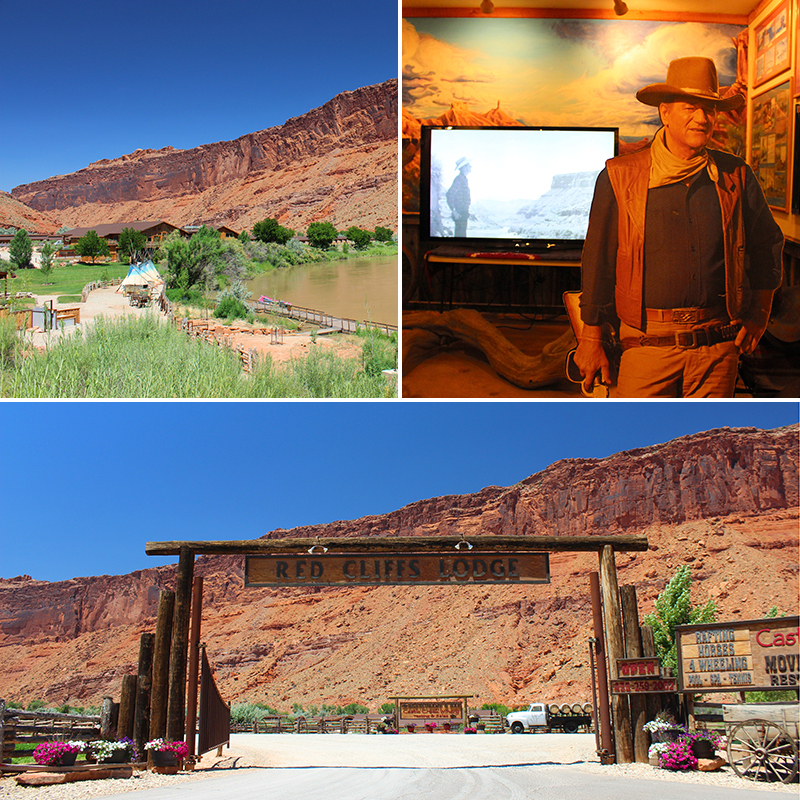 Maureen O’Hara, Ben Johnson, Rock Hudson, Henry Fonda, Anthony Quinn, Lee Marvin, Richard Widmark, James Stewart, and Richard Boone have all starred in films shot at Red Cliffs Ranch. Dinner at the Cowboy Grill is a must, with wide sweeping views of the landscape and river. Favorites are: The Grilled Ribeye, Pork Ribs, Salmon with Honey Chipotle BBQ Sauce, and the wine list is very nice. 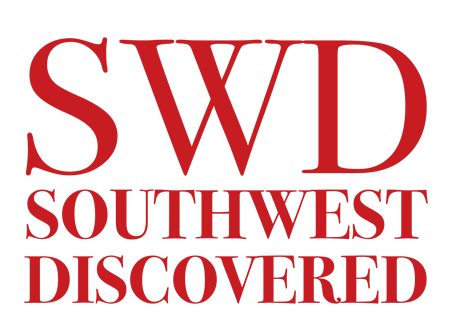 Be sure to wander downstairs to tour the Film and Western Heritage Museum. Upscale Moab dining serving game, fresh seafoods that are flown in (a nice touch for landlocked Utah), house baked breads and divine desserts. The entry and dining areas were built in 1892 as the original dance hall of Moab. Favorite starters are the fresh Chipotle Caesar Salad or Organic Citrus Salad with mint. The Market Fish Selection is always an excellent choice, and any specials of the day. You cannot go wrong with the Filet of Beef Tenderloin, Lamb Chops with arugula pistachio pesto or the Tortilla Crusted Chicken stuffed with goat cheese and served with mole sauce and quinoa cakes. A fun, family friendly place serving burgers, sandwiches, an all you can eat salad and pizza bar, and hearty pub grub. There is something on the menu for everyone, including young’uns with picky palates. Also a great lunch spot, and expect a wait … this place is popular. The place with the “Million Dollar View,” the grill sits high above Moab and most every table has a view of the landscape below, red cliffs in the distance and the famous Moab sunsets. Their menu offers classic dishes such as French Onion Soup and Escargot, New York Strip with house secret seasoning, Salmon with Sherry Cream, Cajun Shrimp Fettuccine with chorizo, and the Texas Style Prime Rib is outstanding. Every Cabin or Suite faces views of the Colorado River or Castle Creek with red cliffs surrounding the ranch. Updated decor with western knotty pine furnishings, Suites and cabins have kitchenettes, wifi and plenty of amenities. We also love that 5 rooms are set aside for pets and their humans. There is nothing so soothing as a swim in the pool after a day of hiking or rafting. Check here for winery and horseback riding info. And more activities including Mountain Biking here. Eclectic retro decor with a patio or balcony with every room. 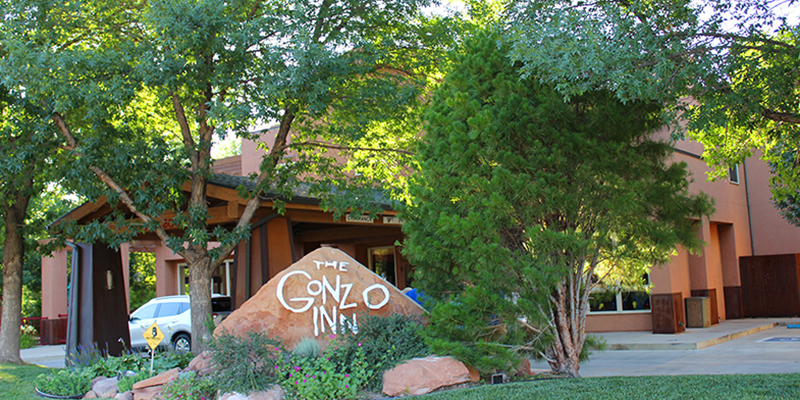 The staff is always friendly and helpful, and the inn is within walking distance of the downtown shops and sites. Ask for a room with a fireplace for those cool desert nights. The pool and hot tub are clean and inviting, the beds are always comfy plush, it’s in a quiet location off the main strip, and the free continental breakfasts offer waffles, great coffee, breads, eggs and outdoor seating. Above, more of the scenic beauty in Arches National Park. Need to cool down? Discover Utah’s River Fun. 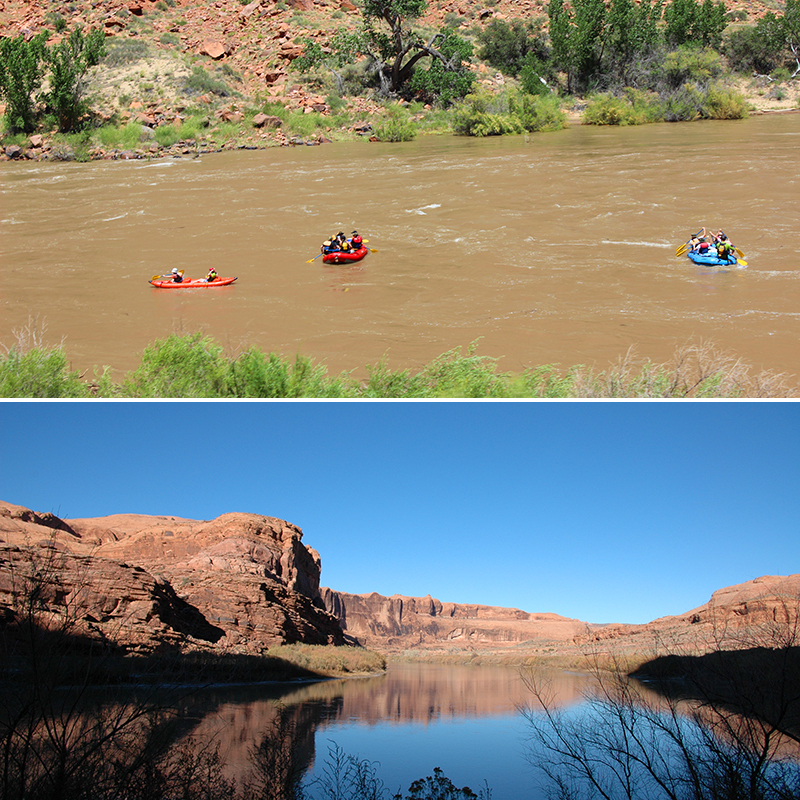 From single to multi-day trips through white water and smooth serene spots, Moab is known for river explorations. Individuals or groups may raft the river on their own, or with a professional outfitter. We are fans of Adrift Adventures, and here is a link to several companies on the Discover Moab website. 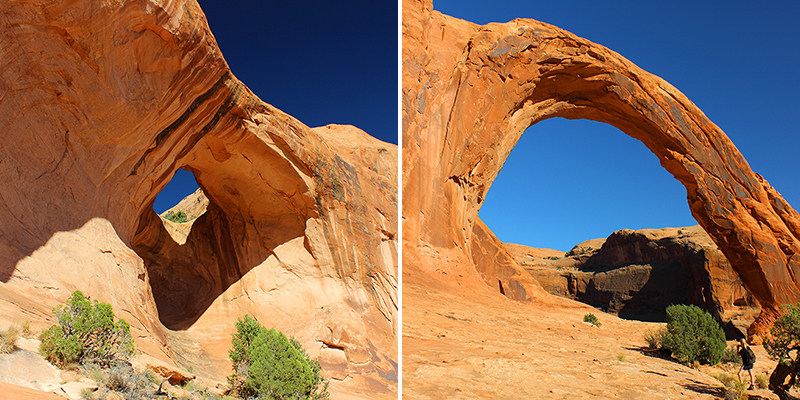 About an hour west of Moab driving along the Colorado River, there is an adventurous hike to view Bowtie and Corona Arch … and well worth it. 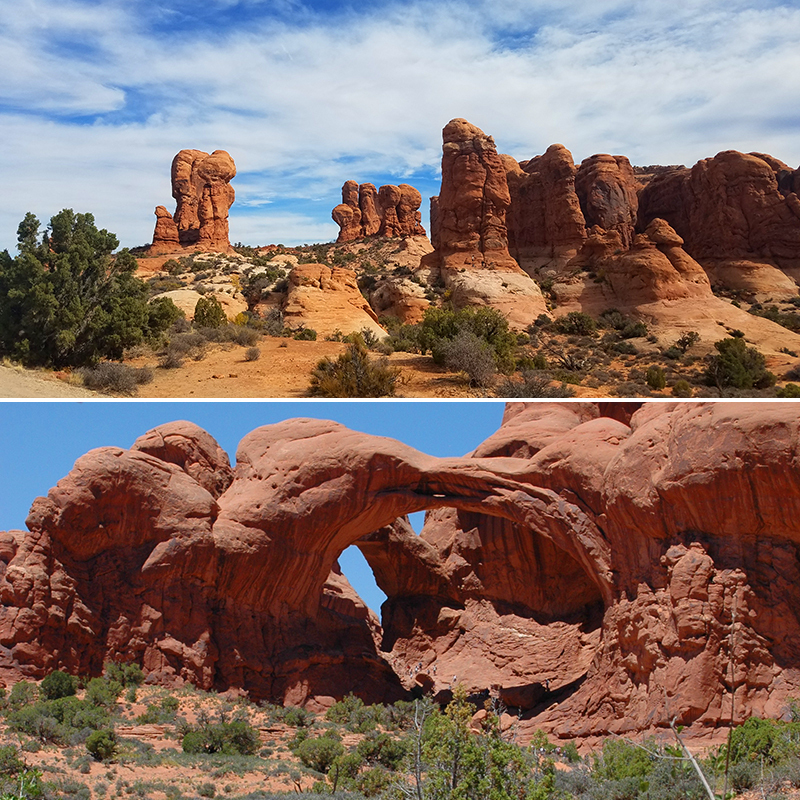 Check out Mr.D’s hike to these arches here. 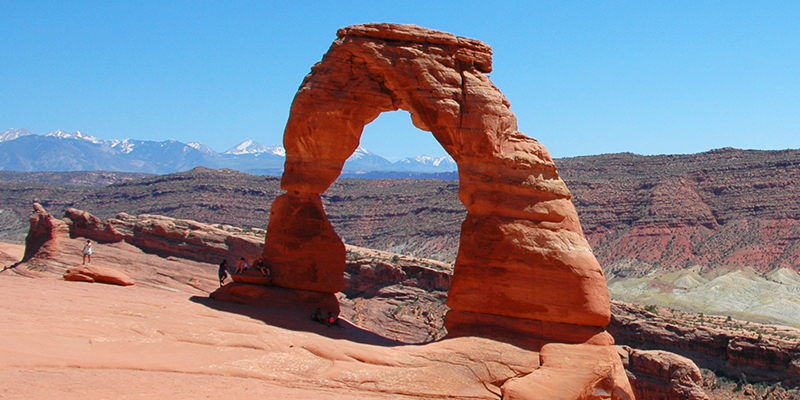 Here is a link to Moab’s Hiking Trails. 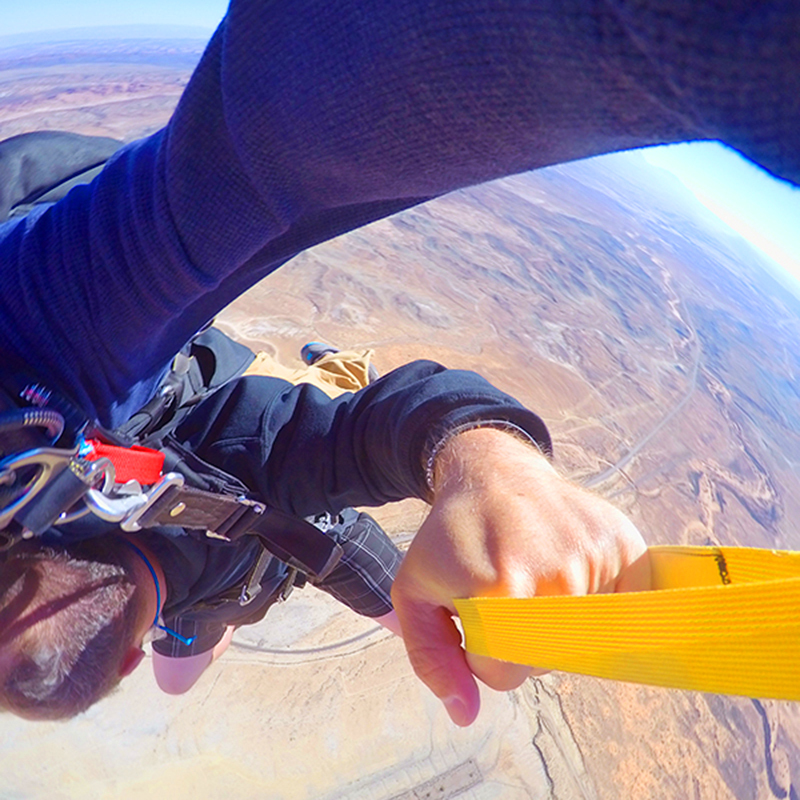 If you’re a fan of jumping out of perfectly good airplanes, this is the place. Set aside a half day to get prepped, take off for a phenomenal view of the Mars-like landscape below, and get ready to roll out for the rush of a lifetime. See details of Mr.D’s jump here. Moab is filled with dinosaur remains and tracks. Extraordinary and mind blowing, it never gets old to seek them out. 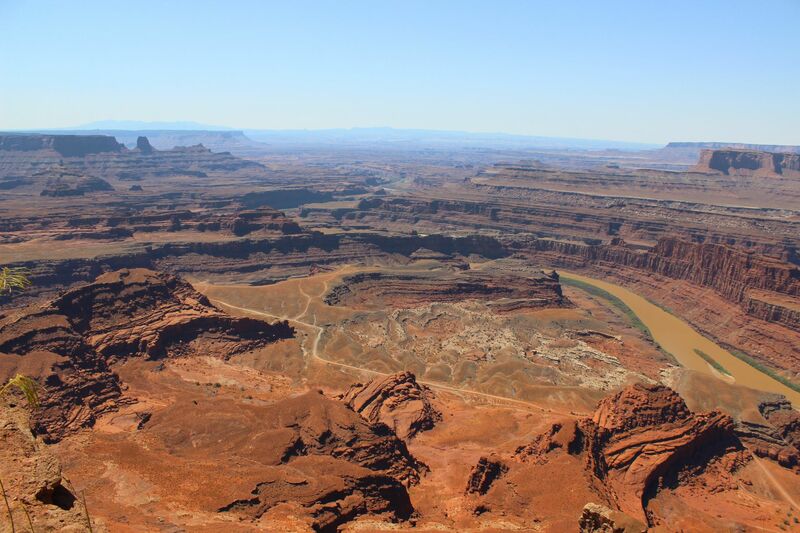 Here is a link to dinosaur tracks and sites in and around Moab. On one particularly beautiful crystal clear Moab afternoon, we set out to find some of the most well preserved and fascinating petroglyphs in the area. Here is a map for your own personal driving tour to find these sites. Two of our favorites are located near the Moab Golf Club where a 30 by 90 foot panel includes Moab Man, and also the paper dolls of Cathedral Cliffs. 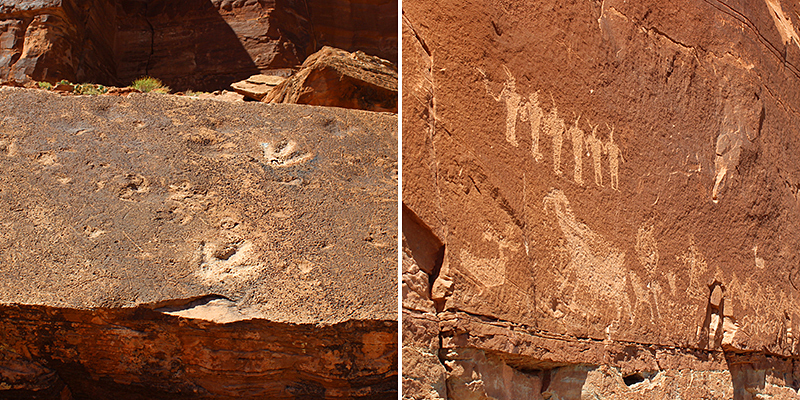 Other spectacular sites are Courthouse Wash Pictographs, Kane Creek Blvd and Birthing Scene. 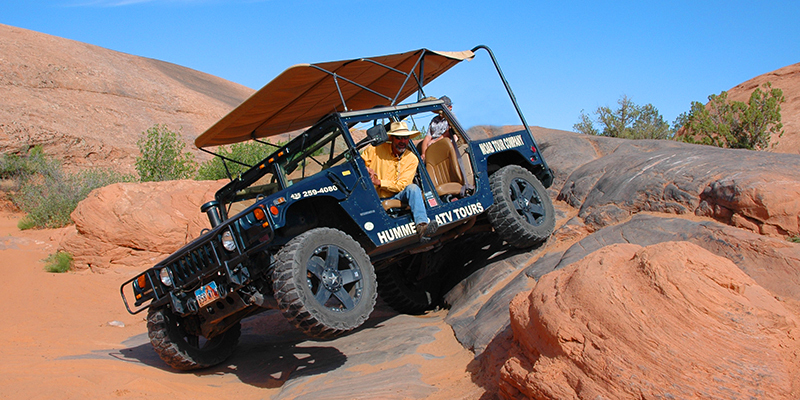 The Humvee tour is an awesome trek over more of Moab’s otherworldly, gnarly terrain. 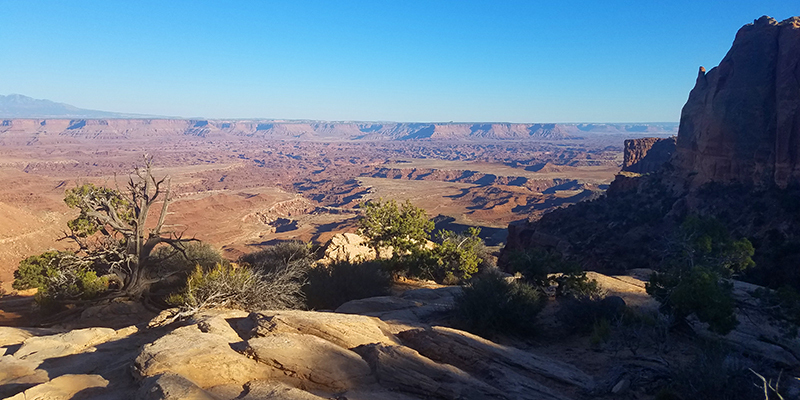 Of note: A short distance away from Moab are Canyonlands National Park, Dead Horse Point State Park, The Needles Overlook, Newspaper Rock, Hole In The Wall, and the La Sal Mountains. Pictured above is Newspaper Rock, located just 50 miles south of Moab. 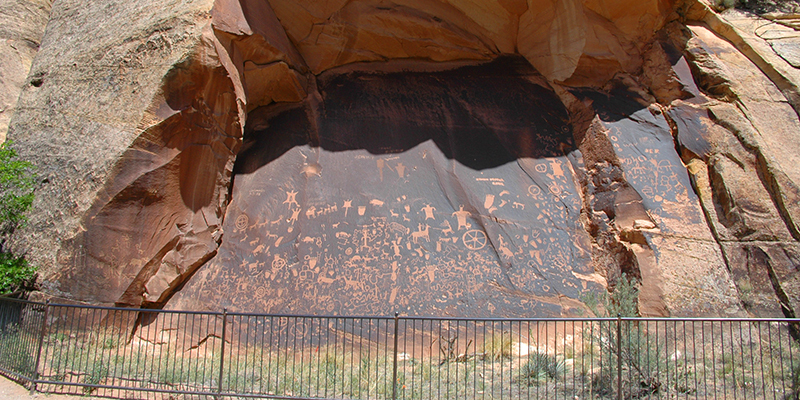 While many petroglyph sites in the southwest require a lengthy and strenuous hike to reach, this one is located right off the road. Here is our article on getting there, with detail shots of the rock art. 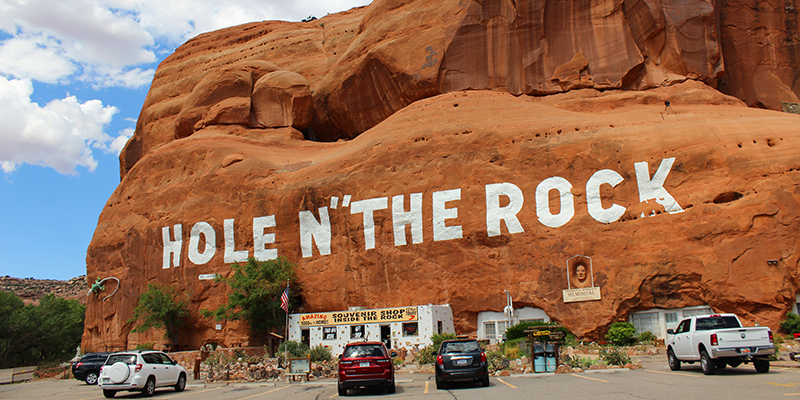 A quirky and fun little stop about 30 minutes south of Moab is the famed Hole N’ The Rock. A most unique home, carved out of the bottom of a huge rock in Utah’s Canyonlands Country, with bedrooms, a kitchen, living room … it’s like Fred and Wilma will make an appearance at any moment, and kiddos love it there. Moab is a dark sky area where the Milky Way is so clear you feel as if you might reach out and touch it. On a moonless night, stargazing is at it’s best. Here is a video with rangers talking about their amazing night skies. For a small town there is plenty to see in the downtown. 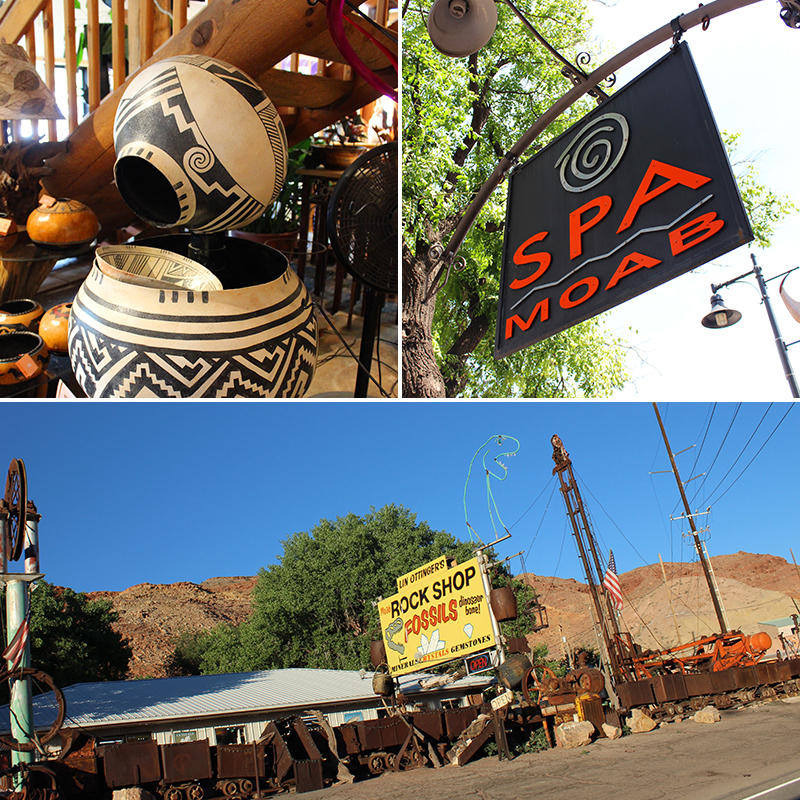 From galleries of southwestern and native arts, cafes and restaurants, a wonderful day spa, apparel and souvenir shops … a full day can be spent meandering and popping into venues that catch your eye. During the hot summer and early fall months, the sidewalks of the downtown are fitted with water misting systems to keep you cool. For a cool treat we like to stop by this cute little mom-n-pop place for a scoop of Raspberry Cheesecake or Mint Chocolate Chip ice cream, and the Red Velvet and Double Chocolate cupcakes are a delightful sweet way to end the day. Moab has so much to offer … we could go back a thousand times and never be at a lack for a new discovery. Here is the official Discover Moab website to plan your adventure. Buen Provecho and Happy Discoveries! How I wish I could go there! Your enthusiasm is contagious! Ms.M, thanks for ‘traveling along’ with us. We’ve vowed to be forever tourists in the Southwest! Peabody, you would love Moab! There’s nothing like it, so beautiful. And yes, the food is mouthwatering. Your photography is great and I will be in Moab to try some of these places in April. Thank you for this guide and tips. Carlos, have a fantastic trip and happy discoveries! Great photography and article. Brings up wonderful memories of hiking and rafting, burgers and beer at the brewery and pancakes at Jailhouse. Thank you. Hungry, we see you have the same affection for Moab. Next time you’re there send pics so we can share with everyone! How many times we have driven through Moab and only stopped for lunch??? Thank you for this list of favorite places. We will be stopping and staying next time! Helena, so glad you’ll be stopping to explore. 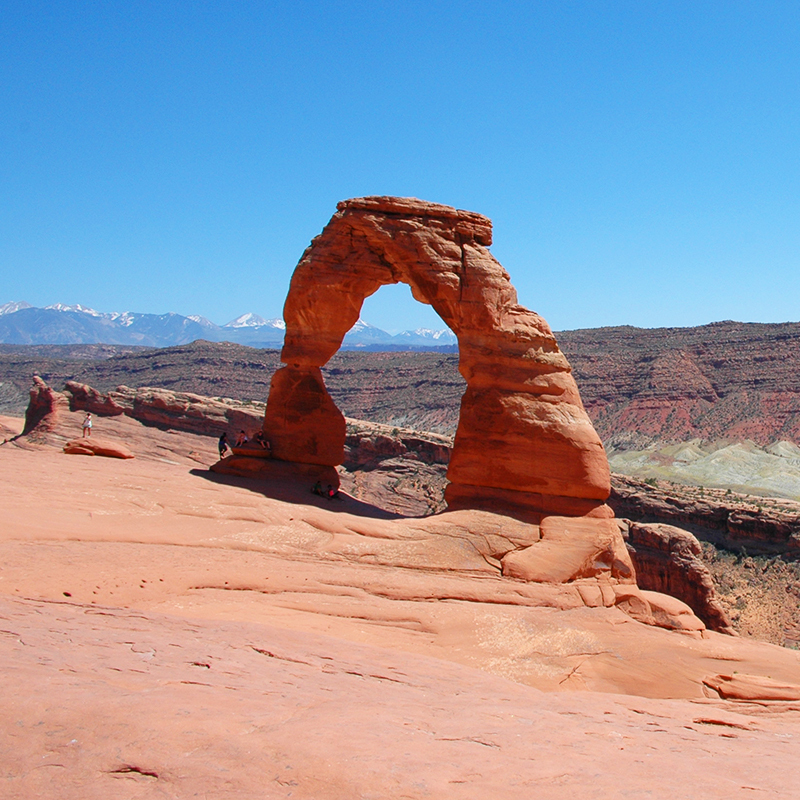 Wishing you wonderful discoveries … that’s not too difficult to achieve in Moab. The most unique place on the planet. Nice variety of adventure and discoveries. Wolf, we can’t get enough of Moab, there’s no place quite like it. Thanks for the comment! Great guide. Am inspired to go this spring. Many discoveries you have mapped out for us. Doc, you’re sure to have a fantastic time. Happy Discoveries!